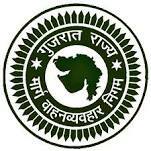 Gujarat State Road Transport Corporation (GSRTC) Ahmedabad, Nadiad & Mehsana Recruitment 2018: Gujarat State Road Transport Corporation (GSRTC) Has Declared Government Jobs/Sarkari Naukri of Apprentice Vacancy. All Qualified Candidates Are Required to Check Eligibility Details for the Ahmedabad, Nadiad & Mehsana Government Job 2018. Candidates will be selected based on an interview..